Floyd partners with multiple high-quality access control manufacturers to bring you a custom access control solution that works for you. ICT is a fully integrated access control system. ICT's software is extremely powerful and yet very easy to use. Access points, video, alarms, maps, and more are all done through the software. This allows you control of one or multiple sites all from one location. 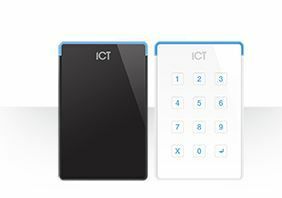 ICT can be fully integrated with SALTO wireless data on card locks. Since no wiring is required, you can add more access controlled doors at very affordable pricing. Estimates and surveys are ALWAYS at no charge. Whether you have one facility or 100, check out ICT Access Systems powered by the friendly experts at Floyd Total Security. SALTO Systems is a world class and industry leader in wireless access control solutions. SALTO users can control their doors without complicated and expensive wiring. Even though this solution is wireless, you still get all of the features of a higher priced wired system. Salto Systems can be used alone or combined with wired solutions such as ICT. From one door to thousands, SALTO, ICT, and Floyd Total Security create a powerful security solution for your company. Floyd has been a factory authorized Medeco High Security Systems dealer for over 40 years. For high security mechanical locks and keys, no one has a better reputation than Medeco. With millions of possible key combinations, drill and pick-resistant cylinders, and keys only reproduced by authorized dealers, Medeco is the hands down leader in mechanical security solutions. Medeco electronic solutions provide access control at an affordable price. Replacing your existing lock cylinders with as Medeco Cliq or X4 cylinder is as easy as it gets. Once installed, you can program access levels, get access audits, and easily add or delete keys as needed. Medeco is part of the worldwide Assa Abloy family of security hardware and solutions. Need a higher level of access control? Floyd Total Security now sells and installs EyeLock’s Iris Recognition access control reader. EyeLock redefines the future of access control with the nanoNXT a sleek, low profile point of entry iris-based recognition system with powerful capabilities. The nanoNXT authenticates up to 20 people per minute, in-motion and at-a-distance with unparalleled security. EyeLock's proprietary iris authentication technology looks at more than 240 unique iris characteristics and provides a fast, user-friendly authentication experience. This solution is an ideal replacement for card-based systems and seamlessly controls access to health care, financial services, education, corrections, stadiums, border control, automotive, government, and more. It is easy to add or remove users from the system, reducing the risk of security breaches, especially when compared to traditional key-based access methods. The interface is intuitive, making it easy for company owners to manage this highly sensitive task themselves without bringing in other employees, who may compromise the system. This is also an ideal solution if you are worried about disgruntled former employees since this type of security system is virtually tamper-proof. We partner with the top access control companies in the world. They all have proven a success and can be customized to work with your access control situation. Most commercial access and security systems also come with warranties should something go wrong. It is important to know that you and the things you need to protect most are taken care of by reliable systems, technology, and equipment. We make sure that all of your needs are met by working with you to find customized security solutions. 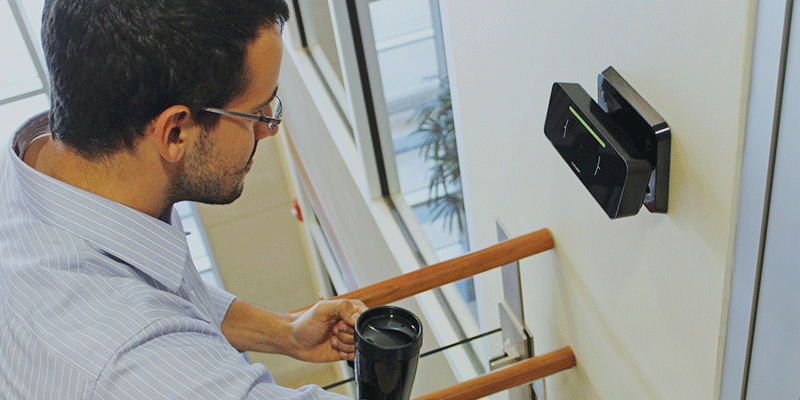 Choose wireless, wired, or a combo of both for your access control solution. They both have different sets of features. Contact us for a free consultation. Our team of professionals will find a solution that fits your needs. For example, if your building or office space is large and difficult to run wire throughout we can make use of wireless security devices. These devices reduce installation time and can help create an overall better system without taking away from your décor. Control your access control system from your web browser or even your phone. Change access levels on the go from anywhere as long as you have network access. This makes our systems perfect for landlords, property owners, or busy executives who do not work from the same location all the time. You may not be able to get to your desktop computer in the event of a security breach, new hire, or any other need to monitor your security system. Mobile access lets you keep an eye on things from anywhere in the world. All of our solutions have a user-friendly dashboard making it easy to train new users no matter their experience level. Floyd offers service plans that include installation, service and technical support. These plans can allow you to pay a smaller upfront cost. Our service plans are designed to help individuals and companies access the security systems they need to keep themselves and their workplaces safe. We also know that no two people have the same security needs, which is why we are always eager to meet with you to review your needs. This gives us all the information we need to come up with a service plan that is affordable while also providing you with the necessary coverage. Add access control to a single door or multiple doors at multiple locations. View all your sites from a single dashboard. Those who own numerous buildings or who need to keep an eye on multiple sites at once can easily do so with our systems. Using one interface to review all your properties helps you manage multiple locations with ease.